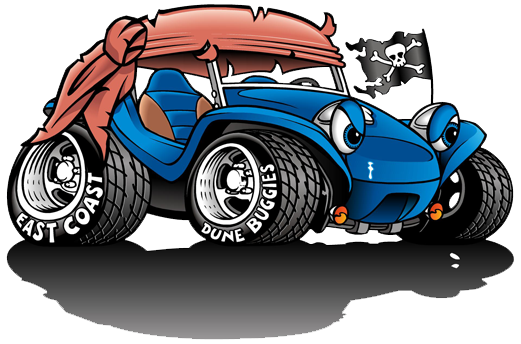 East Coast Dune Buggies - Why Air Cooled VWs and Dune Buggies? This very well may be one of the reasons why I am attracted to these types of vehicles in the first place. My father owned several air cooled VWs as I was growing up, and my first ride in high school was a used 1966 VW Fastback. 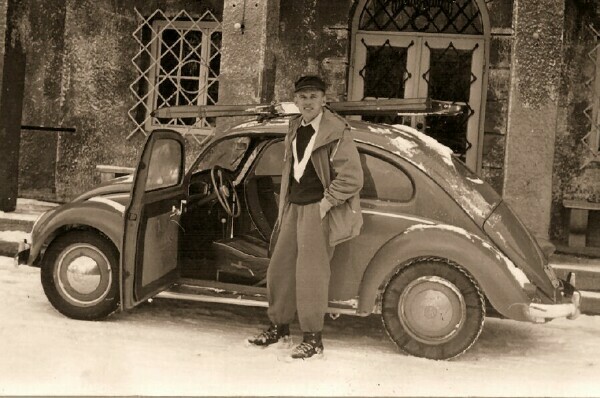 My father paid all of $600.00 for that VW, and it bore the brunt of having to experience my learning process of how to correctly use a clutch and shift gears. Ever since I can remember, I have always enjoyed being on the team that was considered the underdog; the side that did not quite have what it takes to achieve top-dog status (at least, not on paper). Victories in those instances were so much sweeter. I have noticed this attitude first hand at some of the local/area car shows that I have attended after completing the build of my 1973 VW Berrien Dune Buggy. Those with the high $$$ rides usually just take a passing glance as they walk by, or ignore my entry all together. Occasionally there are the few exceptions; guys that may have grown up with air cooled VWs will stop by and get off on what I was able to accomplish. My dune buggy is not what I consider to be Best in Show by no means, don’t get me wrong; but I am proud of the way my project turned out. The car show spectators, now that’s another matter entirely. They get to the point to where they are mechanically walking up and down the lines, looking at Mustang after Mustang, Camaro after Camaro, until they get to my place in line; and then it’s “Oh look, Dune Buggy!” Smiles appear, eyes light up, and I get to hear stories about the various VWs and homemade dune buggy or kitcar attempts that may have played a part in their childhood or adolescence. 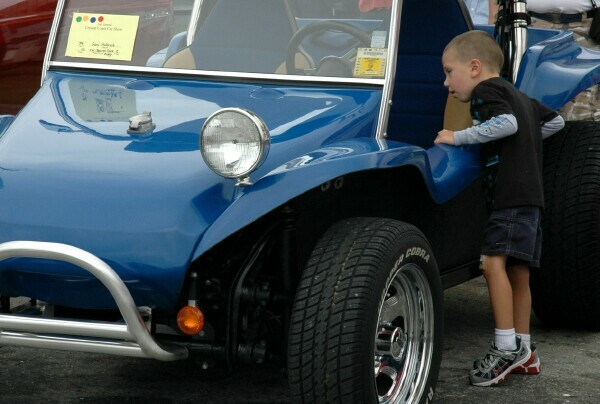 The vibrant-but-basic blue color of the fiberglass and the low stance of the body itself; both are an open invitation for kids to check out the interior, some even try to boldly climb into the driver’s seat. Vintage air cooled VWs reflect on a simple, non-threatening way of life; AM radio, no air conditioning and full tanks of gas for just a few dollars. To some, these vehicles were almost considered “throw-away” in nature; once it appeared to be worn out, just leave it in a field somewhere and let nature take its course. We, on the other hand, are doing our best these days to rescue, rebuild, restore, or modify these staples of 60’s Americana (yes, I realize they are German, get over it! 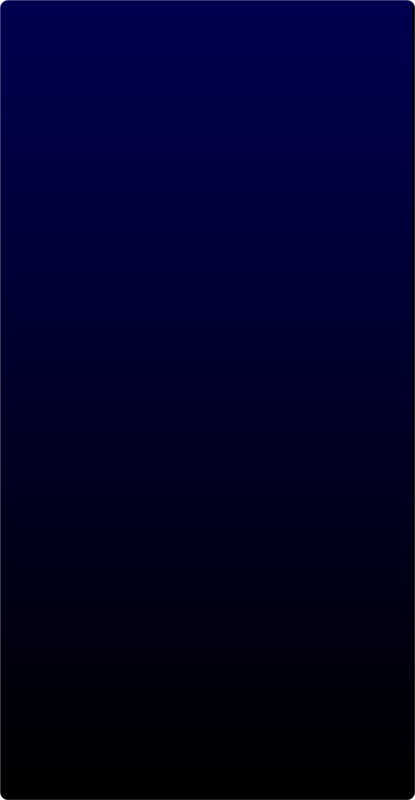 ), so that we can escape back in time, if only for a few moments.